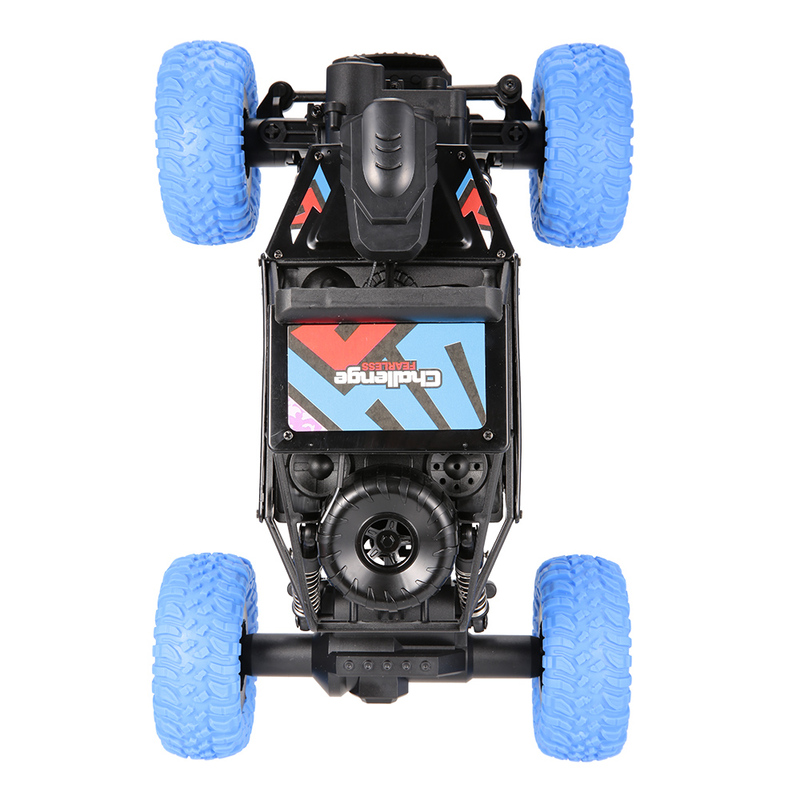 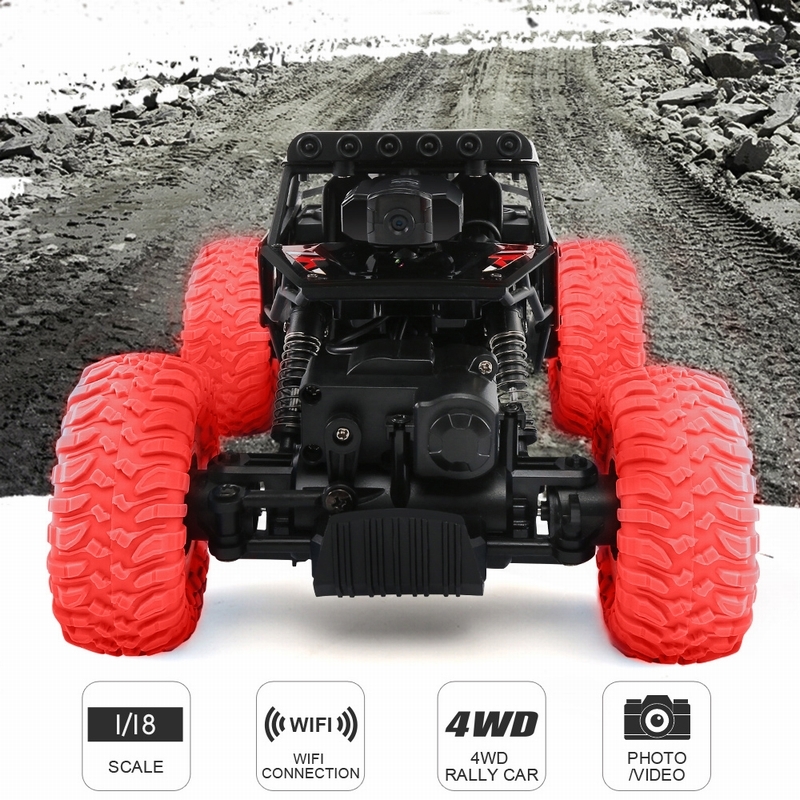 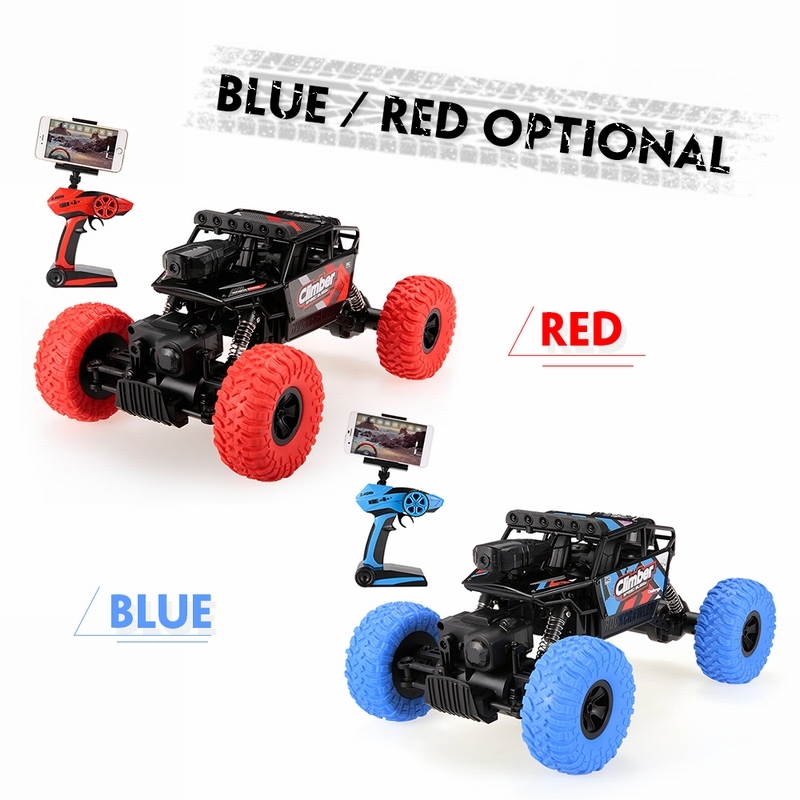 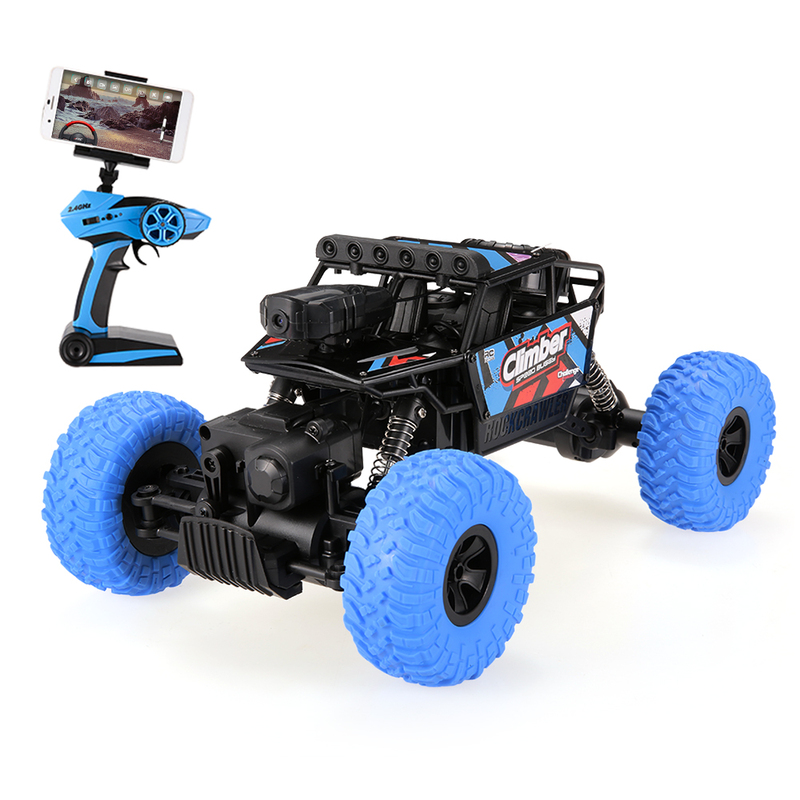 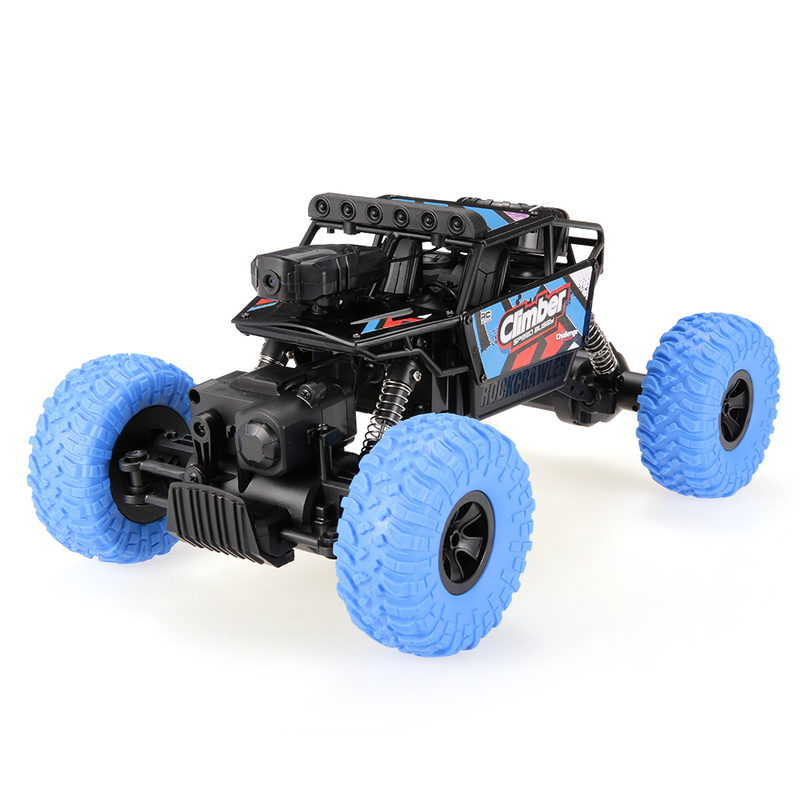 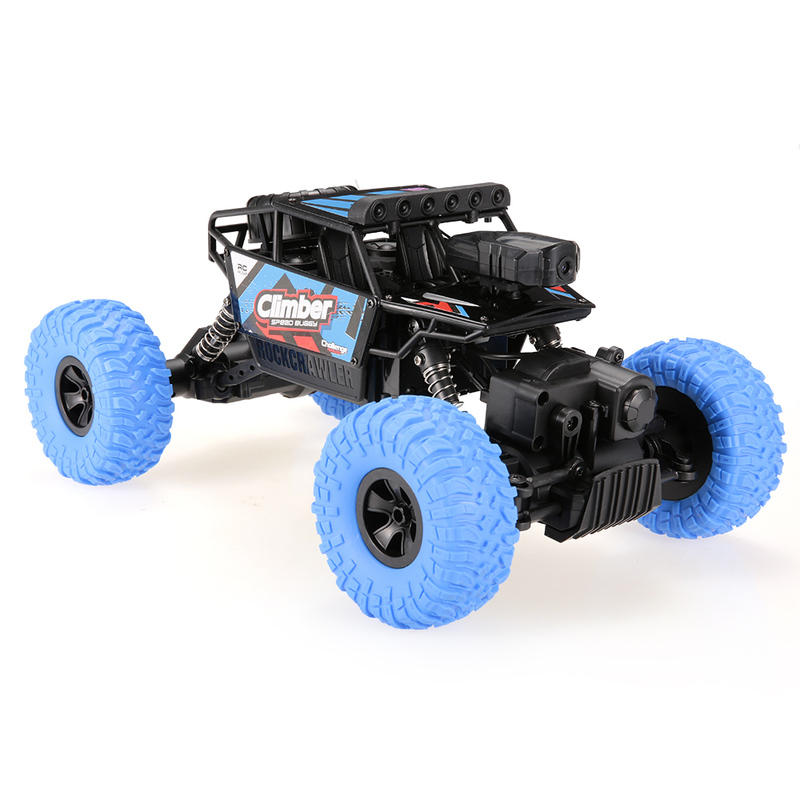 JJR/C Q45 is a innovative RC car with Wifi FPV function! 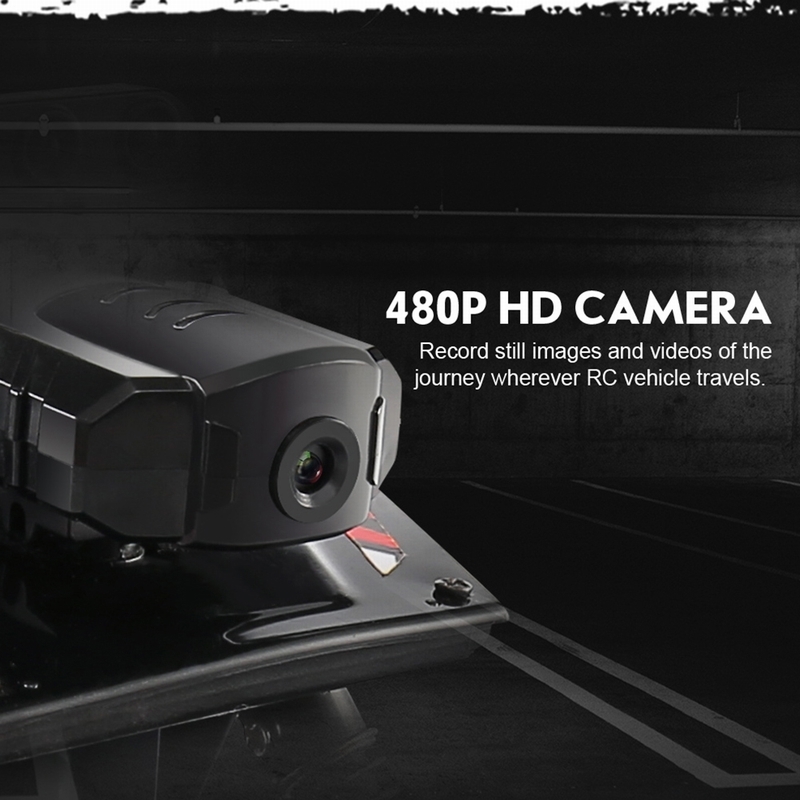 With 480P camera real-time image transmission to make you feel like as if you were really driving. 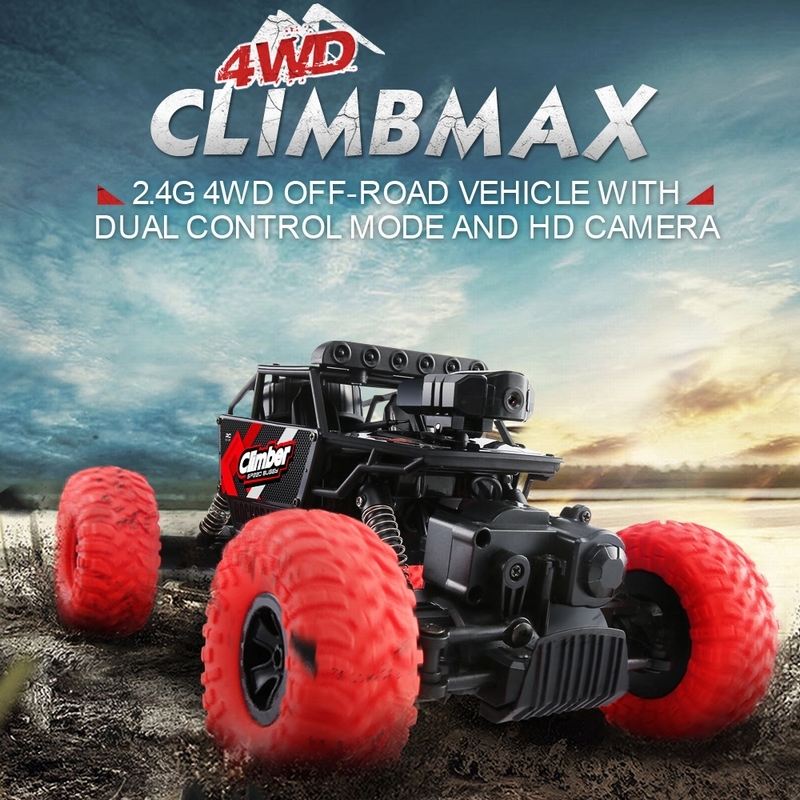 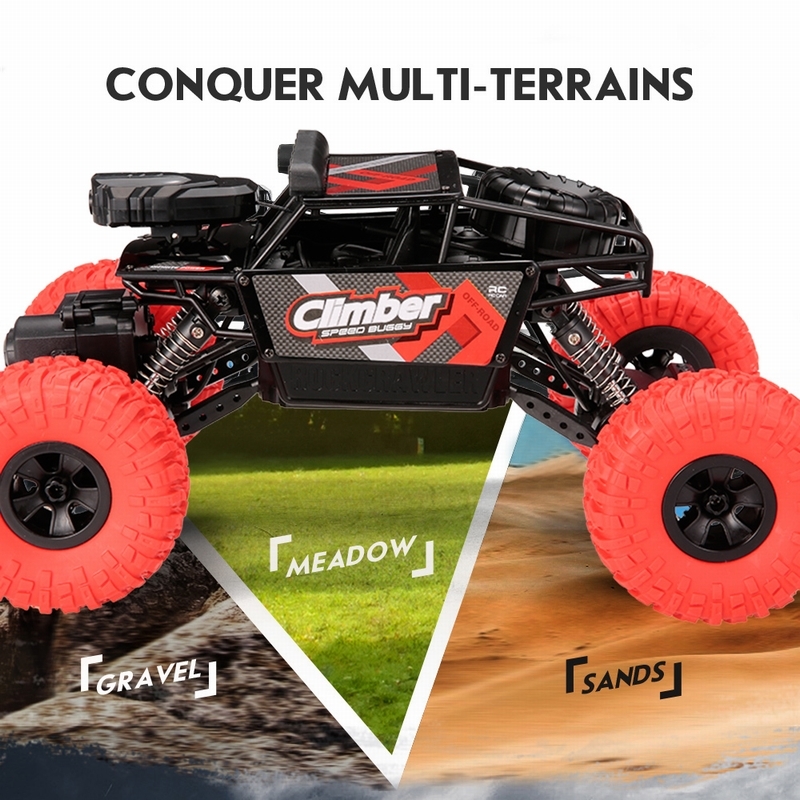 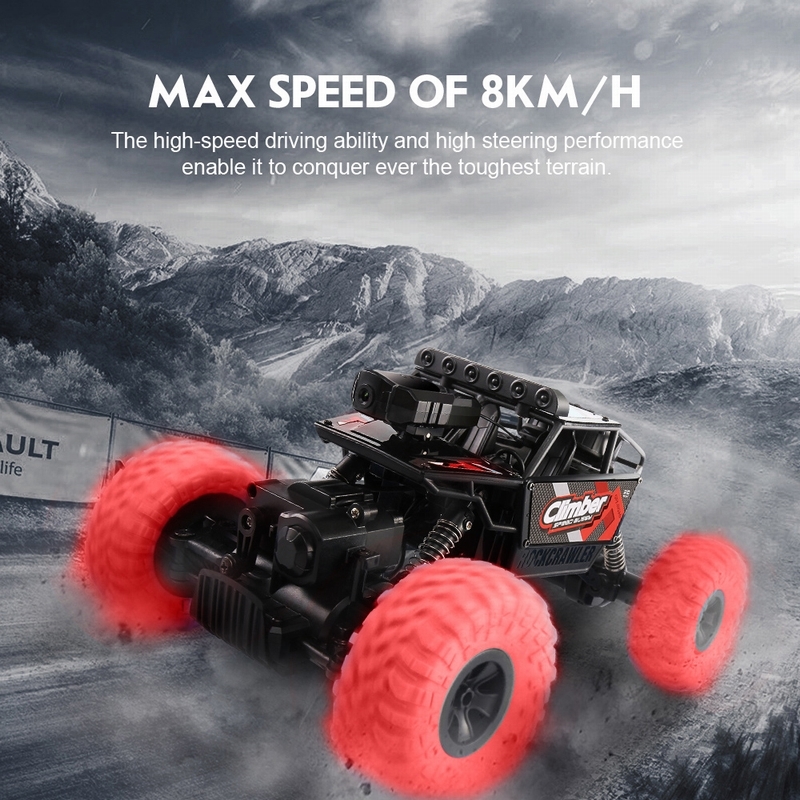 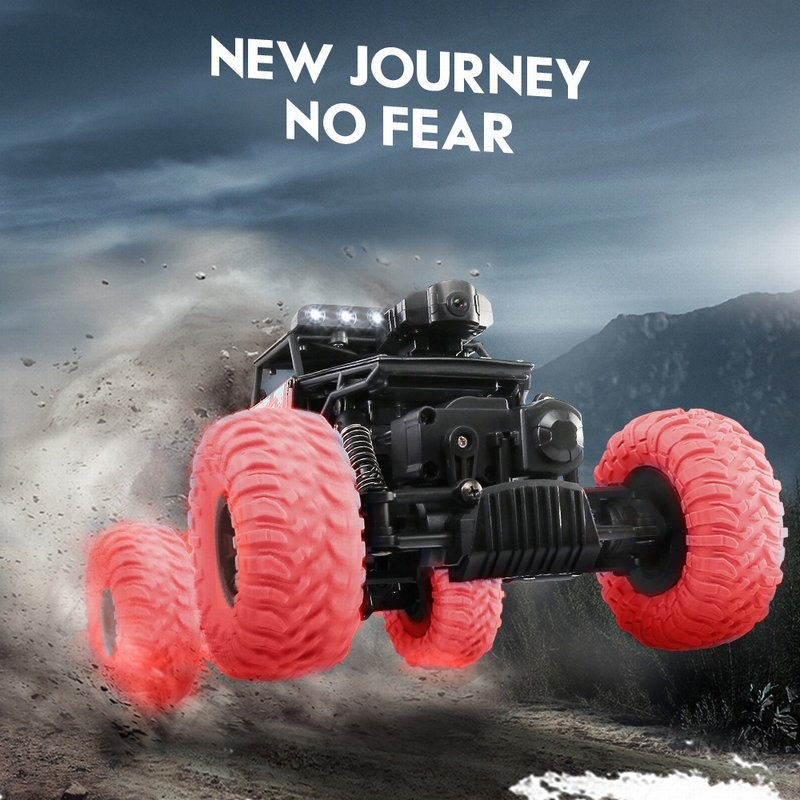 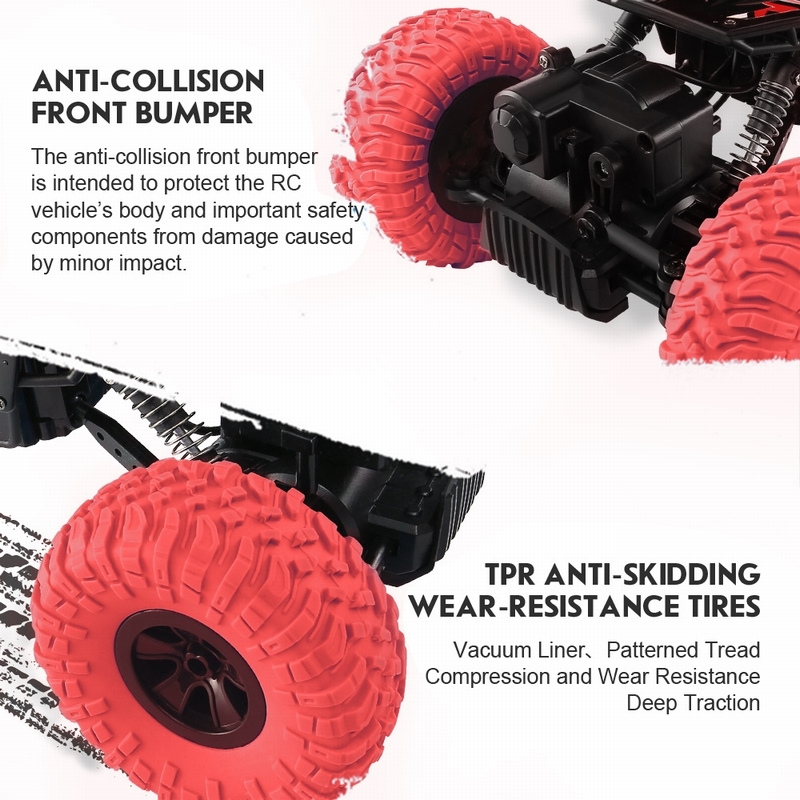 With 4WD dual motor high power driving system and big wheels to crawl on any tough surface. 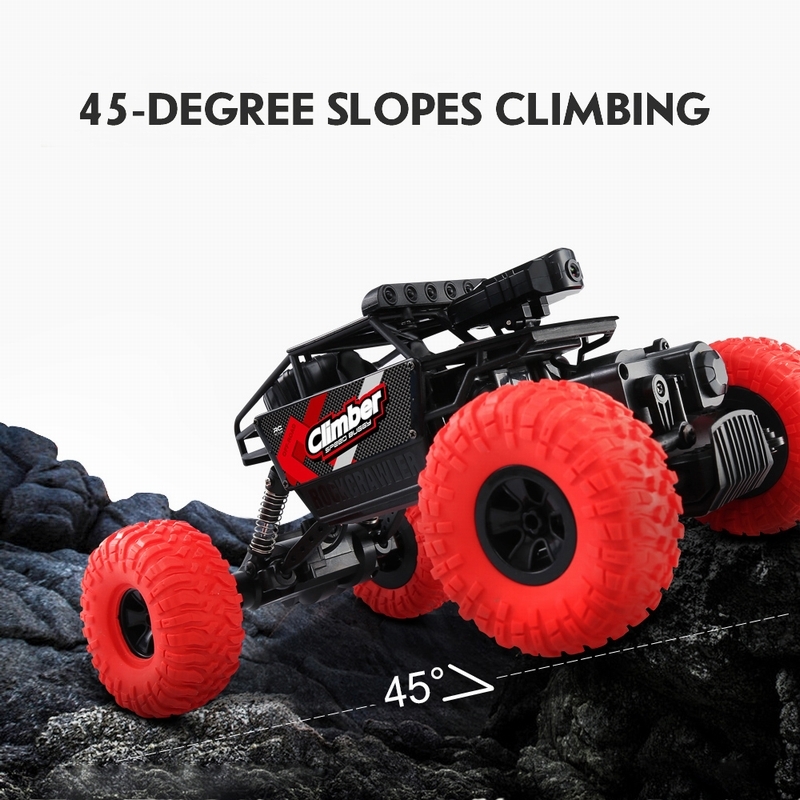 Perfect gift for kids! 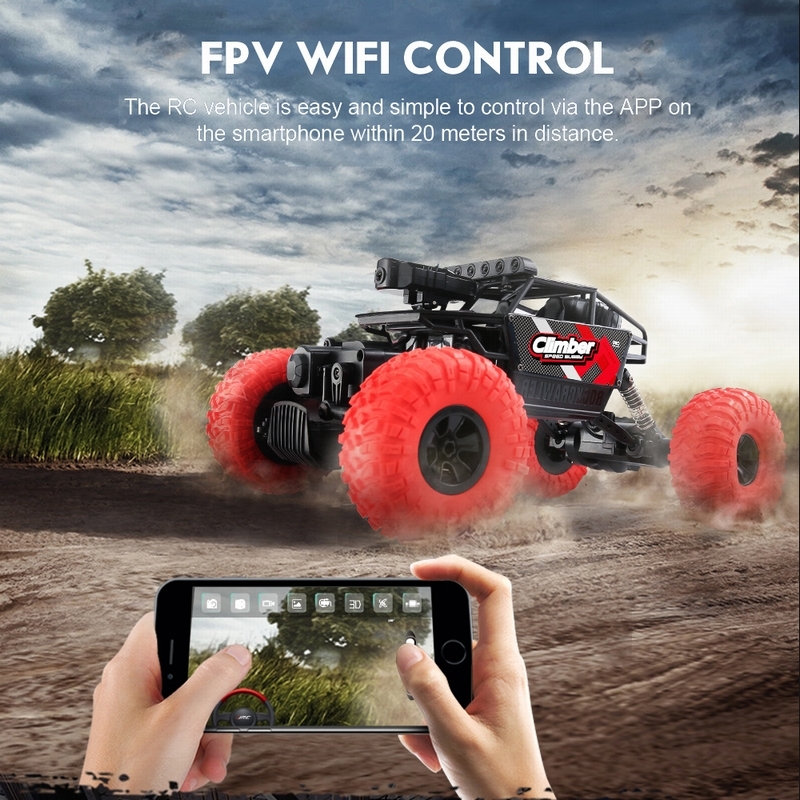 The phone in the pictures is not included. 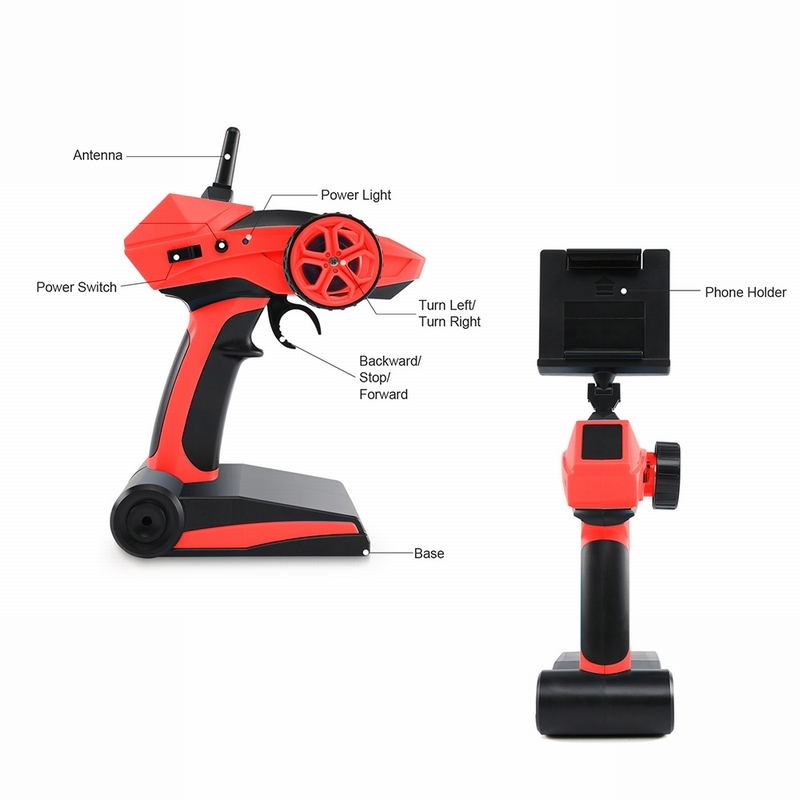 480P camera with WiFi FPV transmission to take pictures and videos. 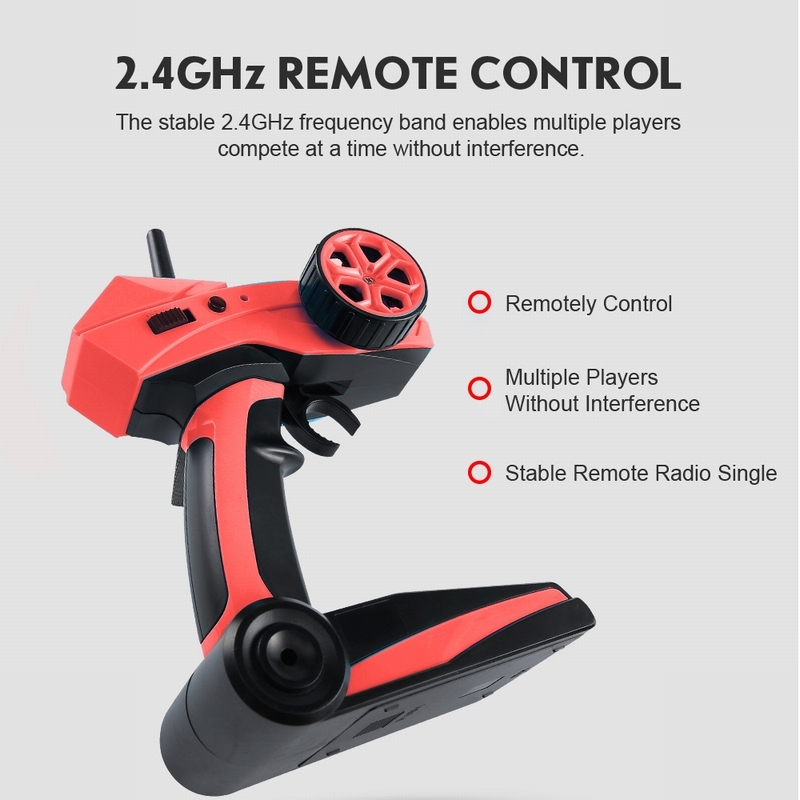 2.4G remote controller and mobile phone remote control dual control mode. 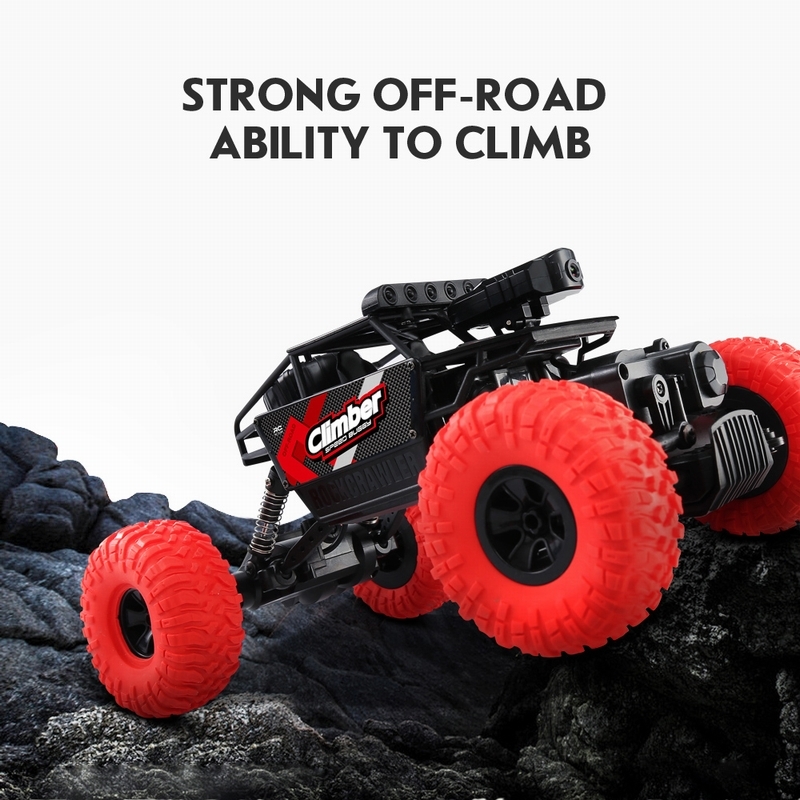 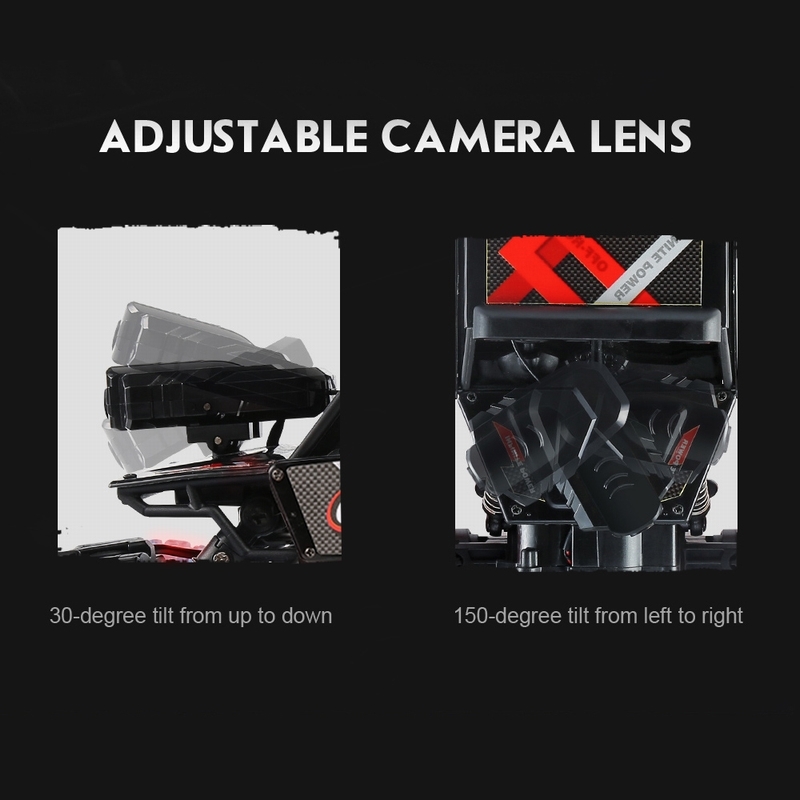 Strong climbing ability, high power, and the climbing height will be up to 45 degrees. 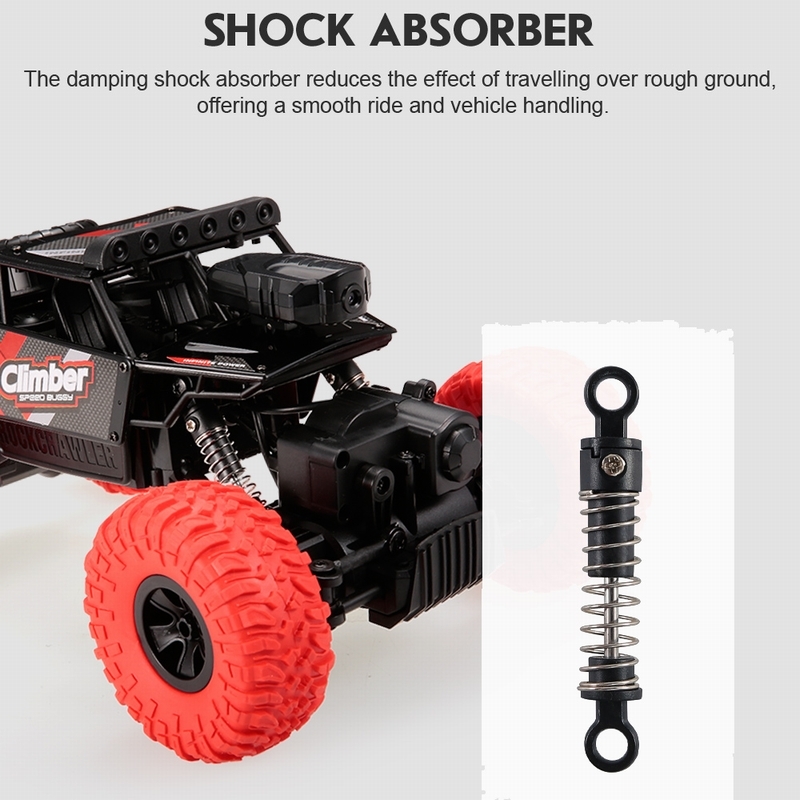 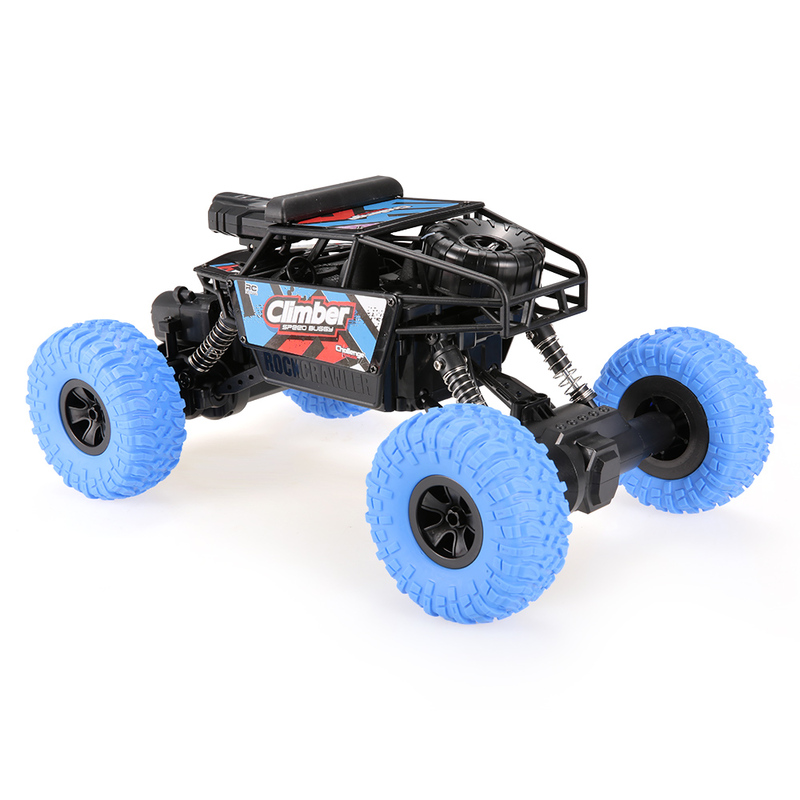 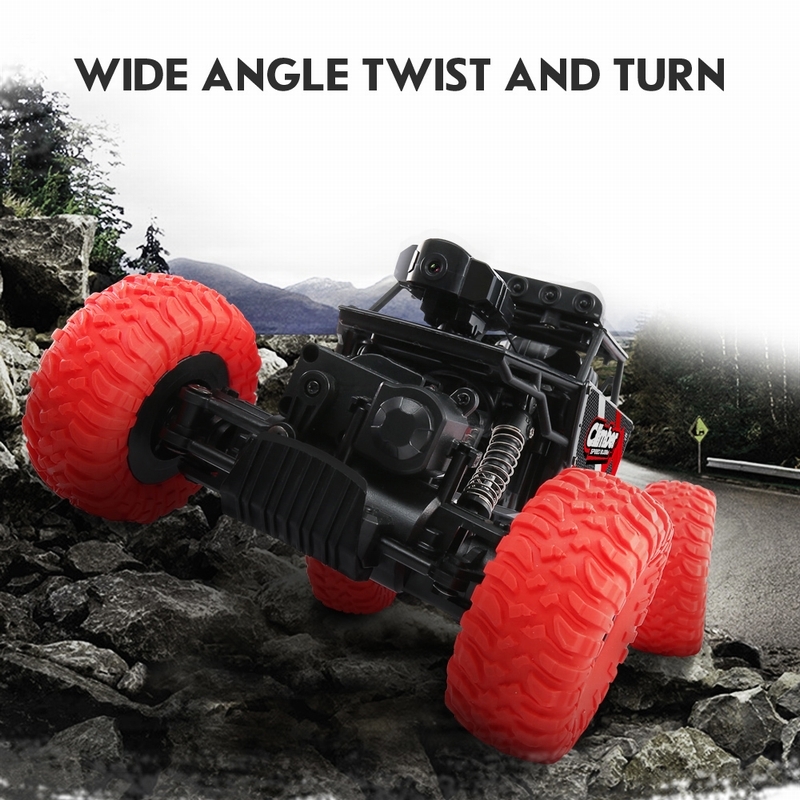 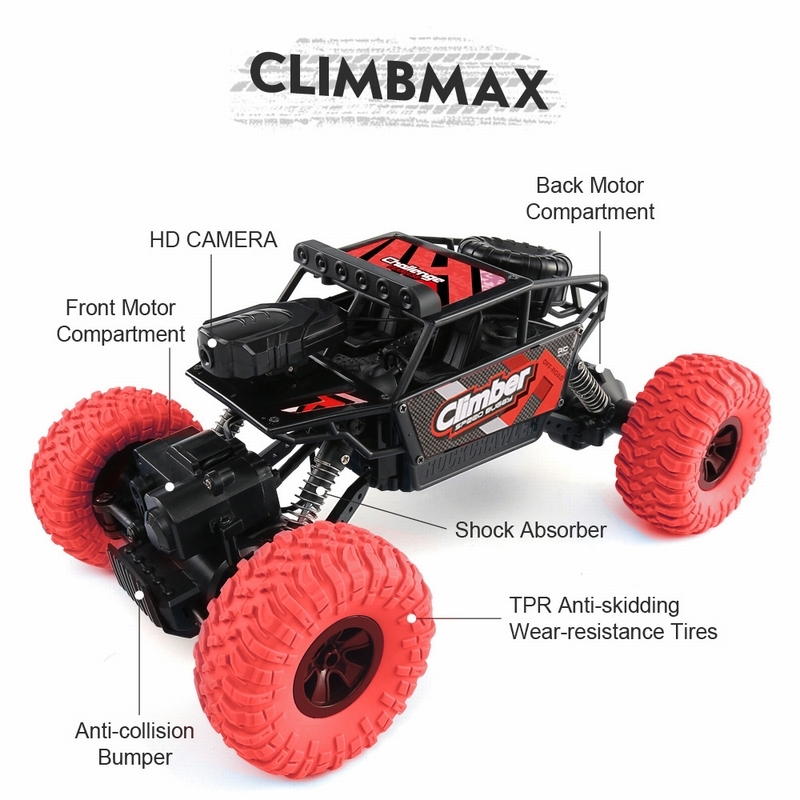 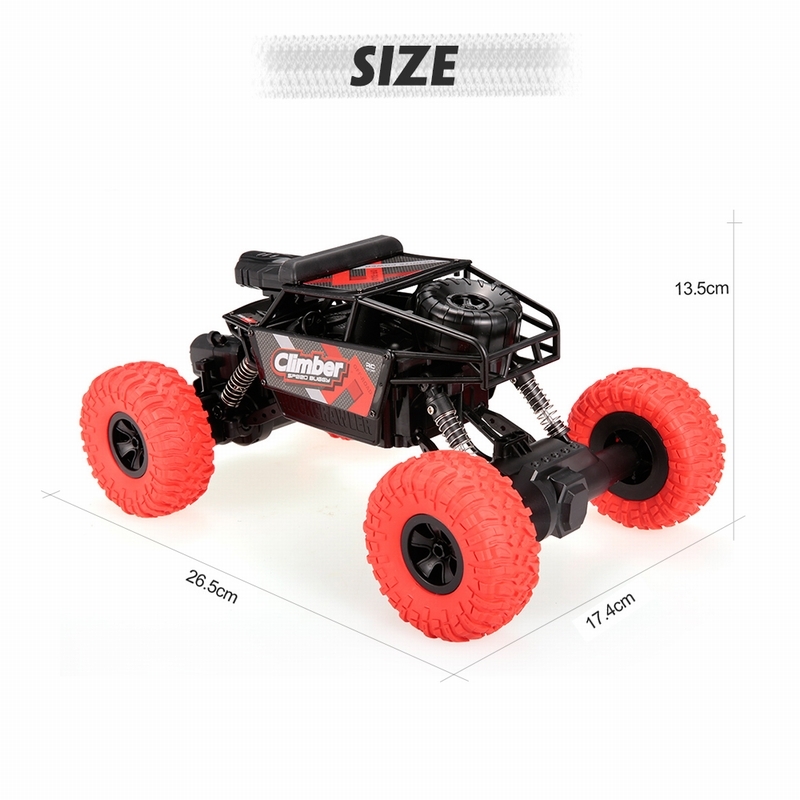 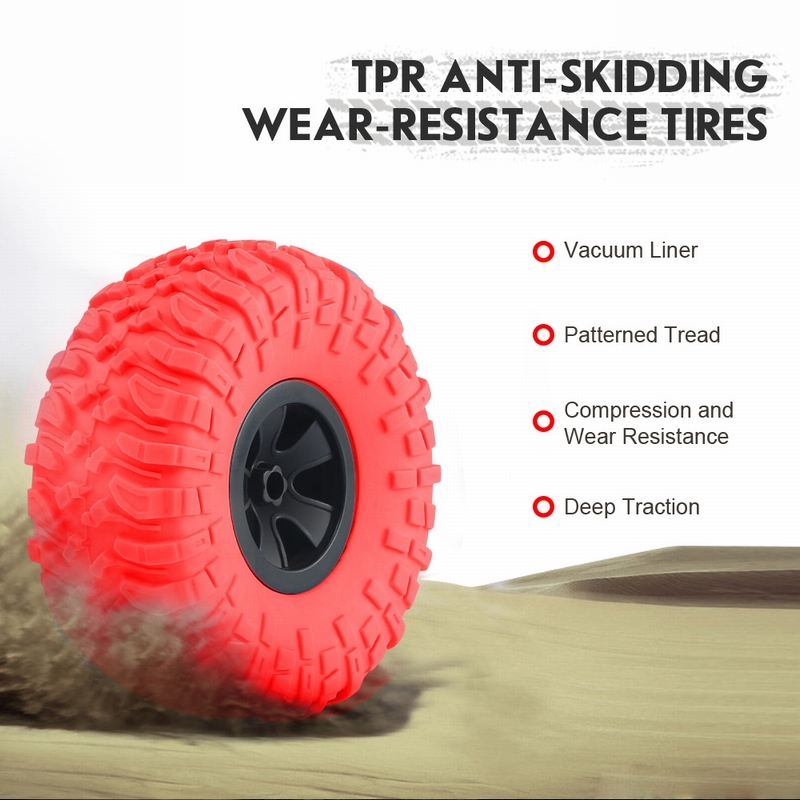 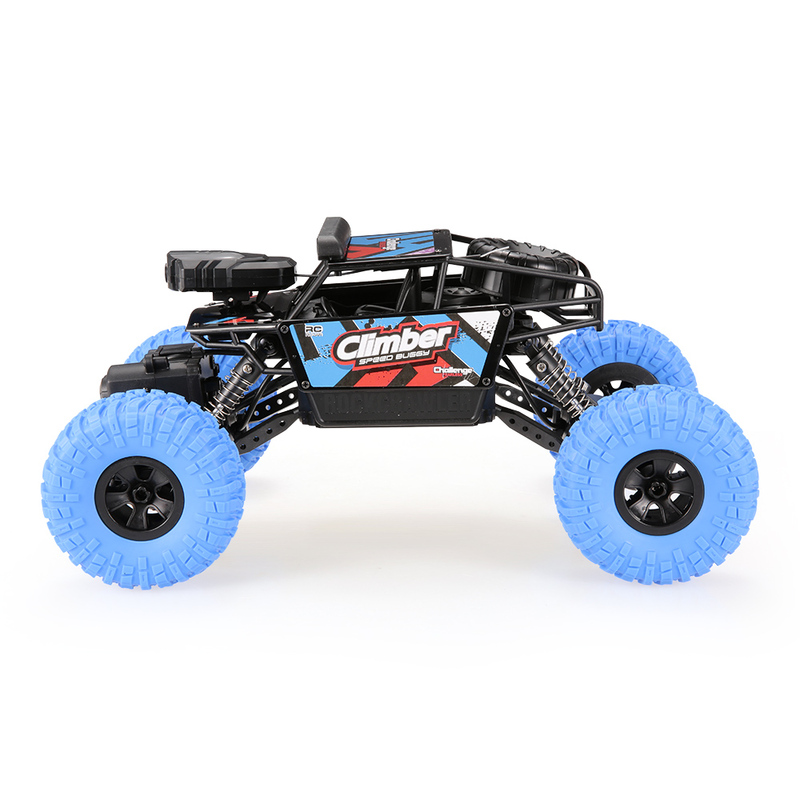 With long travel shock absorbing spring and wide angle twist body easy to crawl on any surface. 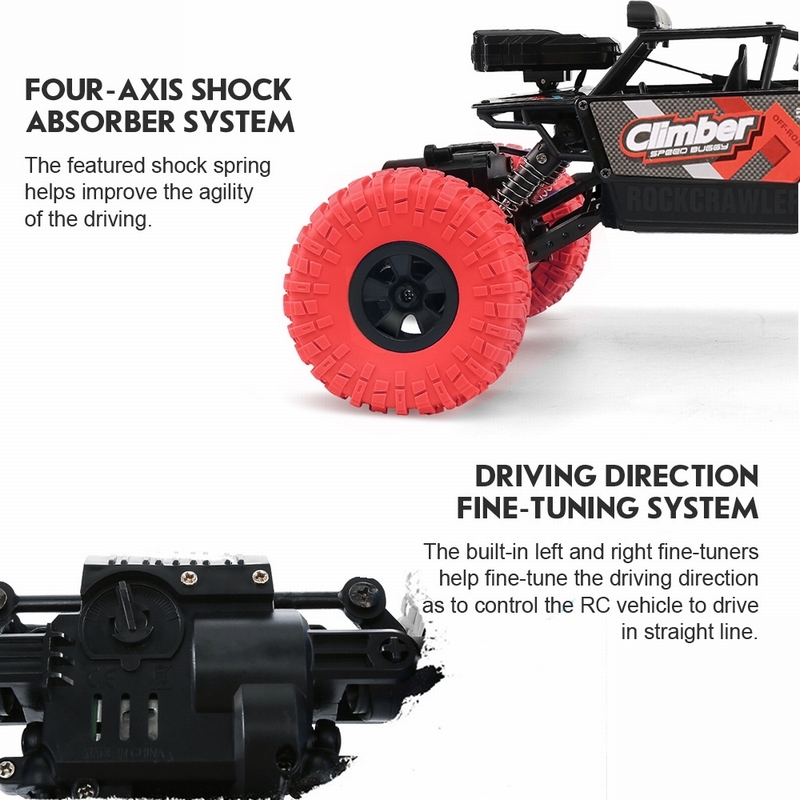 Dual motors high power 4WD driving system, high torque and horse power.